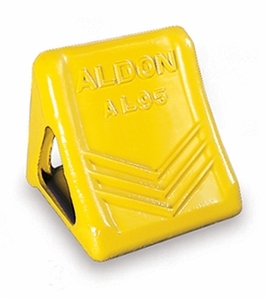 • Width 9-1/8" x Length 8" x Height 8-1/2"
• For tires 34" - 42" diameter. Yellow powder coat finish. • Use with average weight trailer loads. • Always chock both sides of the vehicle.